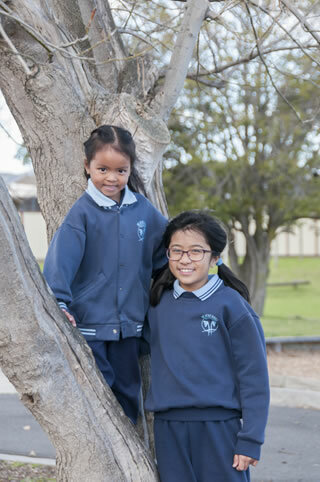 Heatherhill Primary School is situated in Springvale, in the south eastern suburbs of Melbourne, with an enrolment of 220, small enough to allow each student to be treated as an individual yet large enough to support a wide range of programs. The Light Timber Construction school was built in 1958. The school's 50th birthday was celebrated in 2008, with many past students joining current families, to recall the school's history. In 2010, with funding through the Federal Government Stimulus Package, the school hall was repainted, and toilets, storage areas and enhanced lighting were installed. This funding was also used to purchase six interactive whiteboards, placed throughout the school. The current staff consists of Principal, Assistant Principal, classroom teachers, specialist teachers, office staff, integration aides, multicultural education aides, a teaching and learning coach, appointed in 2010 under the National Partnerships (Low SES) Program, a primary welfare officer, a speech pathologist, and a canteen manager. The school has a strong emphasis on Student Well Being, and there is a range of support programs operating at the school: School-wide Positive Behaviours Program, daily Breakfast Club, funded through Red Cross; Boys on the Bounce and Girls on the Go to enhance student relationships and resilience; Student Council; peer mediation; You Can Do It! ; and well defined discipline procedures across the school. The school is an integral part of the community and the student population is both multi-cultural and socio-economically diverse. The school is made up of students from many different nationalities with the majority being from Asia (Vietnam, Cambodia or China). There is an increasing population from Sri Lanka and India. The diverse cultural and ethnic nature of the community presents special needs that are addressed by the staff in its planning and reporting of programs and achievements. In 2014 the school had a Student Family Occupation (SFO) rating of 0.79.